Create a custom contact section in your store in a simple way and using PrestaShop resources. 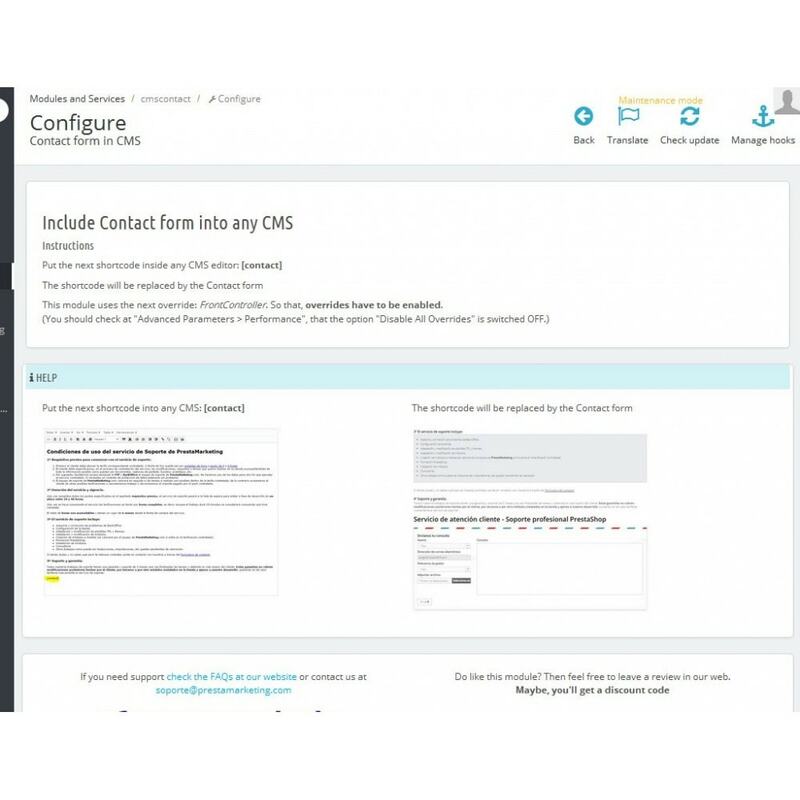 Insert a contact form in any CMS you want thanks to a shortcode added by the module to use in your CMS editor. You get a more visual contact section in which besides the form you can put your phone, your email, pictures and even videos. You can add a contact form anywhere you want without programming or dealing with code. 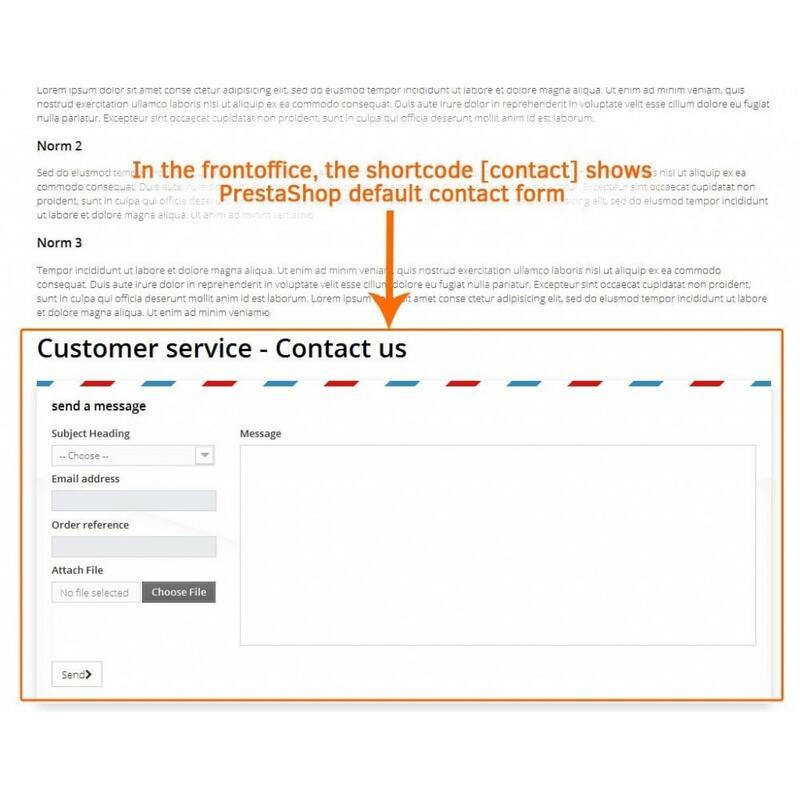 How to insert a contact form in a PrestaShop CMS? This module takes advantage of PrestaShop default contact form to get maximum compatibility with the PrestaShop version you use. The steps to follow are simple and anyone can configure it. Set up the PrestaShop default contact form. Create a CMS with any text and design you want. 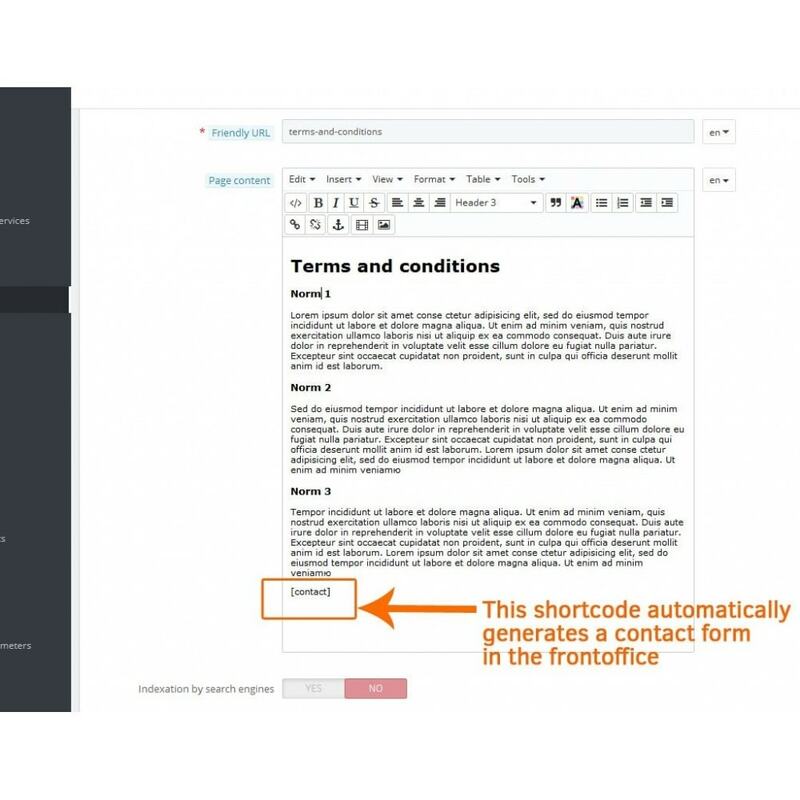 Write the shortcode [contact] inside the editor, wherever you want the form to appear. Open the CMS in the front office and check how it looks. If you are not convinced about the place where it appears, just move the shortcode between the CMS text in the backoffice editor. You have more information about contacting the seller on a single screen. You can see more forms of contact and know extra information (such as customer service hours) in case you are not interested in using the form. This module uses the following override: FrontController. Therefore, overrides must be active. You should check that in "Advanced Settings > Performance", the option "Disable overloads" is set to NO.